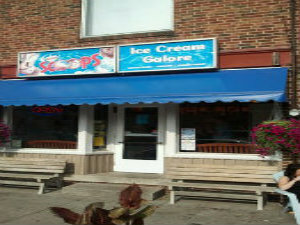 Ice Cream Galore is located in beautiful Point Edward, Ontario. We have been serving our premium ice cream, fresh waffles, delightful desserts and custom ice cream cakes since 1977!!. We use only the finest ingredients in all of our delectable items. Our waffle cones are made fresh daily to ensure you get a mouth watering experience each time you visit our store.